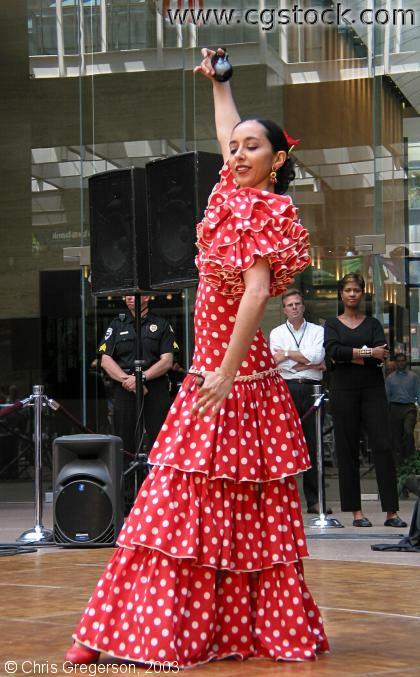 This is dancer Colette Illarde from FUEGO Flamenco, performing at the kickoff event for the 2003 Minneapolis Mosaic festival. This took place in the Crystal Court in downtown Minneapolis. Robyne Robinson is in the background at right.